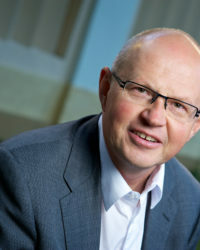 Gintaras Aleknonis is a professor at and the director of the Institute of Communication at Mykolas Romeris University, Vilnius, Lithuania. His research interests include media and democrac, as well as the relationship between the media and the state. These topics are discussed in his book The New Censorship (2011, in Lithuanian). He is the author of five books and numerous articles. For two decades, he has worked as an editor, broadcaster, and commentator in international media organizations in Munich and Prague, and for the Lithuanian National Radio in Vilnius. Further information on Gintaras Aleknonis’ work can be found here.